Manual lymphatic drainage (MLD) massage is frequently recommended by plastic surgeons during the recovery phase following cosmetic liposuction. This specialized form of massage is generally believed to decrease recovery time and improve results, by reducing post-surgical swelling and fibrosis (scar tissue formation). But is manual lymphatic drainage after liposuction really warranted? If so, for which patients? 1.3 How should these variable side effects be managed? 2 Should we expect manual lymphatic drainage after liposuction to be beneficial? 2.1 What is manual lymphatic drainage, and what does it do? 2.2 Should it benefit liposuction patients? 2.3 What is it like to receive manual lymphatic drainage after liposuction? 5 Which liposuction patients might benefit most from manual lymphatic drainage? During the early period following liposuction surgery patients will experience swelling, bruising and discomfort. This is to be expected since liposuction is a relatively invasive procedure (see Figure 1). Common forms of liposuction involve either injecting a significant amount of medicated fluid into the area (‘tumescent’ or ‘super wet’ techniques) or using ultrasonic vibration or laser to liquefy the fat, before suctioning it out using a sharp-ended vacuum tube (a ‘cannula’). These procedures can create significant tissue damage. 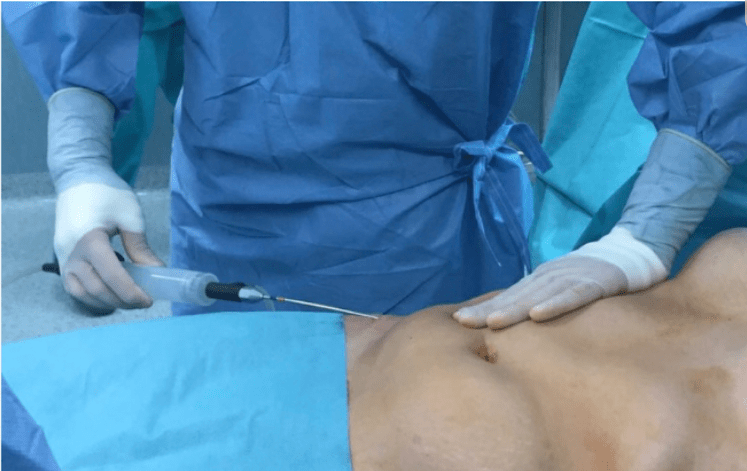 Figure 1: Abdominal liposuction being performed using a cannula connected to vacuum pump. Photo adapted from ref 1. The popular opinion of fat is that it’s simply an undesirable lumpy white mass of stored calories, but this is far from the truth. Fat is an important and active living tissue. Comprised primarily of adipocyte cells (which store lipids) and connective tissue (the glue that holds tissues together), fat is heavily vascularized (lots of blood vessels and lymphatic vessels) and plays key roles in energy storage and hormonal regulation. Removing fat by liposuction causes damage to blood and lymphatic vessels as well as the destruction of cells and connective tissue. This has the double effect of causing blood and lymph fluids to accumulate, while also creating more space for it to pool. Post-surgical pooling of blood and lymph fluid should be monitored for every liposuction patient, and when necessary, treated, as should tissue separation caused by the sweeping action of the suction tube. Without proper management of these side effects poor aesthetic outcomes can result, along with the possibility of longer recovery times, greater pain, and health complications. The abdominal compression garment put on in the operating room and worn thereafter (as per surgeon instructions) accomplishes the dual tasks of decreasing the pooling of blood and lymph (much like applying pressure to a wound stops the bleeding) and bringing the separated tissue in close proximity to encourage healing. Insertion of small drainage tubes into the spaces where fat was removed can further prevent pooling over the first few days following surgery. For some patients, standard interventions will suffice, recovery will be fast, and aesthetic outcomes optimal. Unfortunately, not every patient will have this experience. The post-surgical recovery process varies person-to-person according to a variety of factors including the type and extent of liposuction, age, health and physical activity levels, skin characteristics, smoking, complications such as infection, and so on. Inflammation and repair processes bring immune cells to the area to help clean out dead tissue and waste, and new connective tissue is laid down to help knit the tissue back together. When the accumulation of connective tissue is significant (known as ‘fibrosis’ or scarring) this process thickens the tissue and decreases its pliability. Excessive fibrosis may be felt by hand, may restrict motion or produce feelings of tightness, and may even be visually noticeable. Scarring will naturally diminish with time as the tissue gradually remodels itself, but this process can be long and some scarring is likely to be permanent. In general, swelling may be greater than necessary if compression garments are removed too early, not applied properly or consistently, or not sized appropriately. Excessive fluid presence or localized pockets of fluid may slow recovery and/or make the results less aesthetically optimal by encouraging uneven healing and fibrosis. Uncontrolled swelling could potentially create other complications such as small pockets of fluid becoming trapped (called a ‘seroma’), inflammation, and infection. How should these variable side effects be managed? Judicious adherence to your surgeon’s recommendations, including follow-up, is the best way for you to minimize your recovery time, optimize your results, and avoid potential complications. Surgeons often recommend that their patients supplement their recovery with manual lymphatic drainage as early as possible, ideally within the first few days post-surgery. The idea behind this recommendation is that manual lymphatic drainage could potentially help prevent and alleviate the build-up of fluid and formation of scar tissue. But where does this recommendation come from? Some of the surgeons who recommend manual lymphatic drainage also benefit financially from offering it to their patients as an add-on service. So how do we know this is a worthwhile recommendation? Should we expect manual lymphatic drainage after liposuction to be beneficial? Plastic surgeons frequently recommend manual lymphatic drainage after liposuction, or after abdominoplasty with liposuction (a ‘tummy-tuck’). It’s also recommended as a post-liposuction treatment by the Dr. Vodder School, the largest manual lymphatic drainage massage training and certification body. Nevertheless, why should we expect it to help? What is manual lymphatic drainage, and what does it do? Manual lymphatic drainage massage is offered by registered physiotherapists and massage therapists (and other health professionals) who have received additional training and certification. Using sequences of gentle massage strokes, manual lymphatic drainage helps to stimulate the flow of fluid through the lymphatic system, thus relieving swelling. This technique is routinely offered along with compression garments and education as part of Combined Decongestive Therapy (CDT), the standard treatment for patients with chronic lymphatic insufficiency (lymphedema). But should we expect it to help patients recovering from liposuction? Should it benefit liposuction patients? Manual lymphatic drainage is a central component of CDT, which is the treatment recommended by the International Society of Lymphology for managing chronic swelling in patients with lymphatic insufficiency (lymphedema). Imaging studies confirm that manual lymphatic drainage massage significantly increases the flow of fluid in lymphatic vessels in normal individuals (ref 2). This finding explains the large number of clinical studies and anecdotal observations collected over decades of use that demonstrate its clinical effectiveness (for a recent systematic review see ref 3). It’s also important to note that pain is not described as a side-effect of manual lymphatic drainage massage in these studies, nor is it mentioned by any knowledgeable publication or web article. To the contrary, manual lymphatic drainage is more gentle than conventional massage and is frequently described as enjoyable. This also coincides with our own experience. But this same surgeon is correct in suggesting that there is likely little to no scientific evidence supporting massage of any type after liposuction. The question isn’t whether manual lymphatic drainage can reduce swelling – it can. The question is whether manual lymphatic drainage after liposuction can offer patients a quantifiable clinical benefit over standard care. Unfortunately, we can’t answer this question with clinical study data; I can find only primarily anecdotal support in the clinical literature rather than proper clinical studies (for example, see ref 4). The jury is still out. There is insufficient evidence to suggest that manual lymphatic drainage should be recommended to all liposuction patients, and I would suspect that it would have little benefit in some patients. But is there a group of liposuction patients we would expect it to benefit? Yes. The available information suggests that manual lymphatic drainage would help relieve swelling in liposuction patients who are having difficulty controlling swelling otherwise, and furthermore, that eliminating excessive swelling would be expected to speed recovery and improve results (such as less fibrosis and improved skin texture). What is it like to receive manual lymphatic drainage after liposuction? Manual lymphatic drainage is usually delivered in one-hour sessions, and should include some education on self-care practices. It is not painful, much more gentle than regular massage, and is usually described as being pleasant. No oils or other products are used on the skin during these sessions. Surgeons typically recommend for best results that care be initiated in the first few days following surgery (within the first 5 days), and some recommend that patients come for a standard number of treatment sessions. However, the number of sessions should ideally be determined by the therapist in conversation with the patient and based on: the amount of swelling; patient responsiveness to treatment; patient commitment to self-care practices; and of course, on the patient’s perception of benefit and financial considerations. Patients should experience some benefit from the very first treatment, and may find that this benefit increases upon subsequent visits, but typically no more than a handful of sessions are required to achieve maximal benefit. It may speed up the healing process by: reducing swelling and bruising, increasing the removal of cellular debris and other waste from the area (including free fats), reducing local inflammation, and decreasing the risk of infection by improving the immune response (the lymphatic system plays an active role in immune surveillance, immune cell transport, and clearance). It may decrease scarring and the build-up of fibrotic nodules (hard lumps), and consequently improve skin texture and tone. It may decrease pain, sensitivity and touch-avoidance by speeding healing and providing gentle and pleasing massage. Why do I say *possible*? Even though manual lymphatic drainage has been shown in clinical studies to offer these benefits in other contexts (such as for lymphedema, lipedema, ligamentous sprains, etc.). Clinical evidence for its use in liposuction patients is inadequate to draw strong conclusions. With that said, it is likely that at least some liposuction patients would see benefit from adding manual lymphatic drainage to their post-operative care. Manual lymphatic drainage has been shown to be a safe technique with very few complications or contraindications. This includes for patients who have recently undergo breast cancer surgery (a common risk factor for lymphedema). The same holds true for liposuction patients, with the caveat that liposuction patients seen shortly after their procedure have wounds that are actively healing and appropriate care should be taken. Which liposuction patients might benefit most from manual lymphatic drainage? The patients who stand to benefit most from manual lymphatic drainage would be those with a lot of swelling, and/or with swelling that is difficult to reduce. Typically, these are patients where compression garments couldn’t be used, weren’t used effectively, or weren’t used at all. Liposuction patients that experience fluid build-up away from the surgical site, such as in the legs, could also benefit. With respect to fibrosis, patients with more extensive procedures are more likely to benefit from the fibrosis-reducing effects of manual lymphatic drainage. Other patients may benefit psychologically. Since it is a safe and enjoyable massage technique, it may be beneficial to consider it for patients who might otherwise wonder or worry that their recovery could have been easier, or their results better, or for patients who exhibit fear-based touch-avoidance after this sort of procedure, and who can afford the additional expense. Manual lymphatic drainage post-liposuction is recommended by many plastic surgeons, as well as by the Dr. Vodder School (the largest manual lymphatic training and certification body). But should manual lymphatic drainage be broadly recommended to patients following liposuction? Maybe. Broad recommendations should typically be reserved for treatments where reasonably strong clinical evidence exists, and where the benefits outweigh the risks. For example, manual lymphatic drainage (as part of ‘combined decongestive therapy’) is the recommended treatment for the chronic swelling condition known as lymphedema. Unfortunately, there have been very few clinical studies to examine the benefits and risks related to the use of manual lymphatic drainage after liposuction, so strong clinical evidence does not exist to support a general recommendation. With that said, based on our understanding of manual lymphatic drainage it seems very likely that at least some liposuction patients would stand to benefit from it. And for those who are unsure of the benefit, the experience should still be pleasant and without negative side effects. Bellini E, Grieco MP, Raposio E. A journey through liposuction and liposculture: Review. Ann Med Surg (Lond). 2017 Nov 6;24:53-60. Lopera C, Worsley PR, Bader DL, Fenlon D. Investigating the Short-Term Effects of Manual Lymphatic Drainage and Compression Garment Therapies on Lymphatic Function Using Near-Infrared Imaging. Lymphat Res Biol. 2017 Sep;15(3):235-240. Ezzo J, Manheimer E, McNeely ML, Howell DM, et al. Manual lymphatic drainage for lymphedema following breast cancer treatment. Cochrane Database Syst Rev. 2015 May 21;(5). Masson IF, de Oliveira BD, Machado AF, Farcic TS, et al. Manual lymphatic drainage and therapeutic ultrasound in liposuction and lipoabdominoplasty post-operative period. Indian J Plast Surg. 2014 Jan;47(1):70-6.